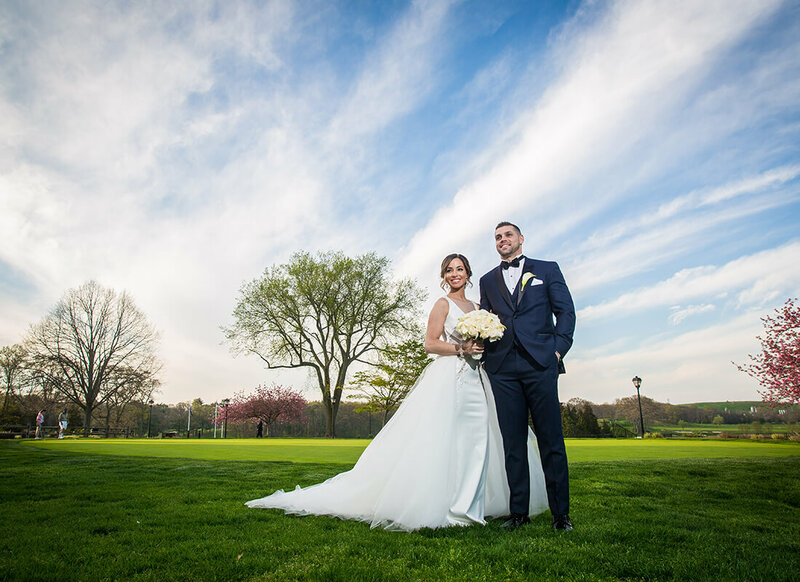 Gina Zanetti felt like a uniquely fashionable bride in her captivating gown as she wed her love, Brian Wynne, on April 28, 2017 at the Carlisle on the Green in Bethpage, NY. 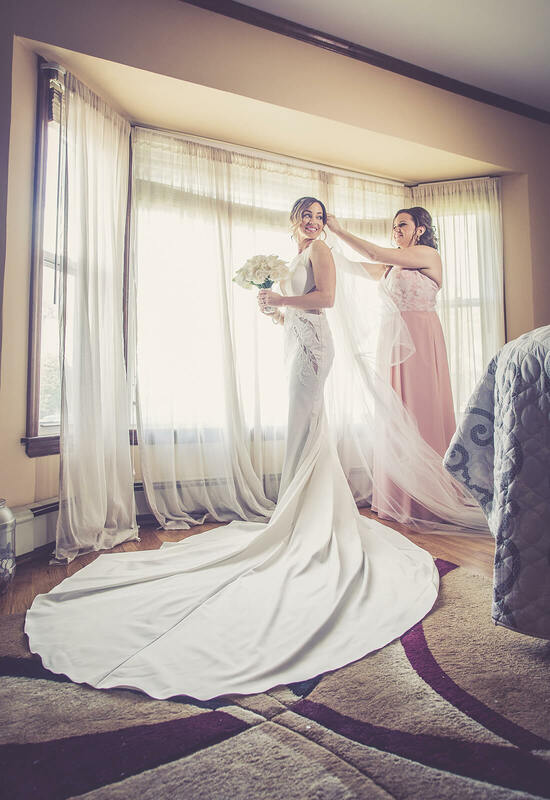 Her beautiful gown flowing behind her, Gina couldn’t have been happier with the decisions she had made regarding her wedding day style. 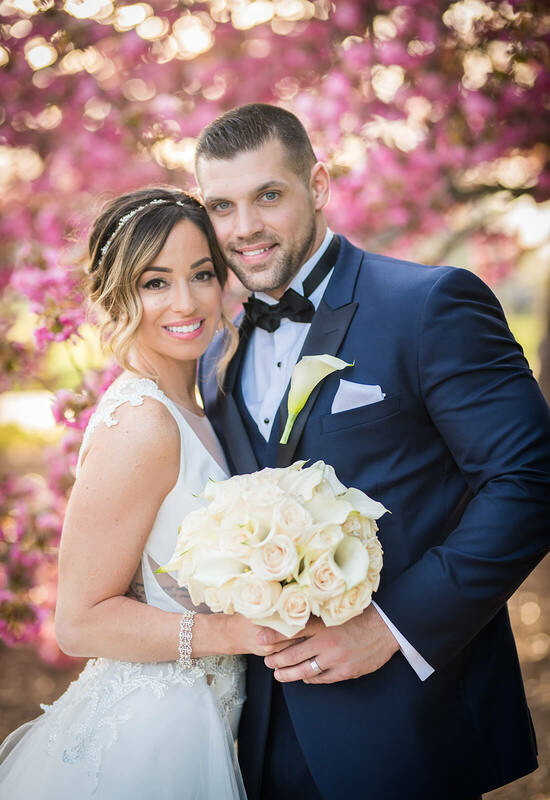 To assemble her wedding day ensemble, Gina headed off to the Pnina Tornai Boutique at Kleinfeld Bridal. 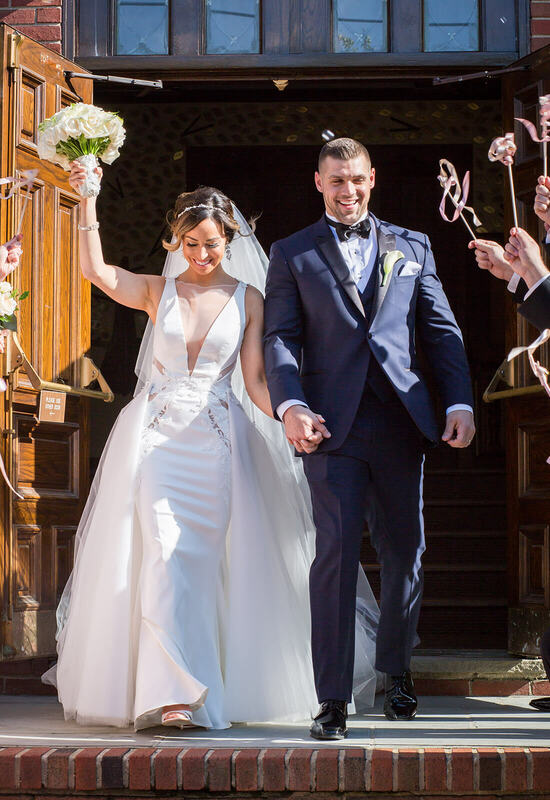 Having watched the Pnina Tornai Wind Upon Water fashion show, Gina had a dress in mind that she knew she wanted to try on. 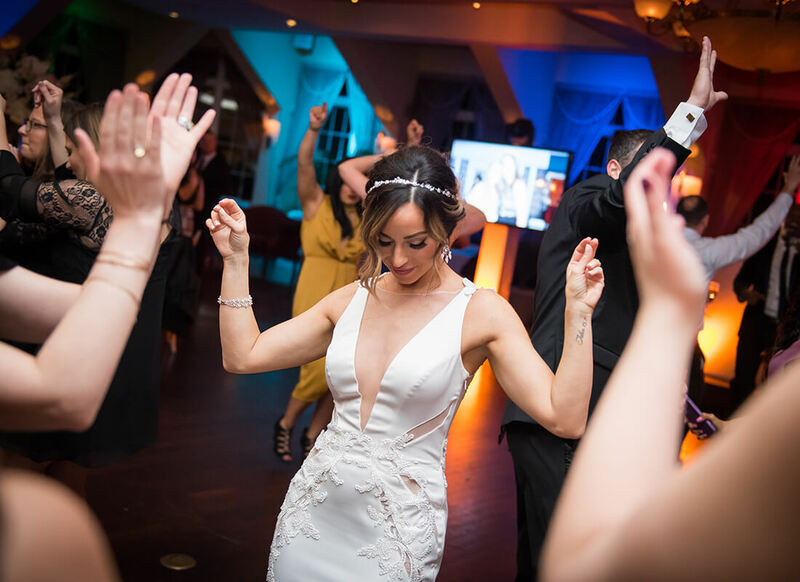 For Gina, being unique for her wedding day was something of great importance to her. 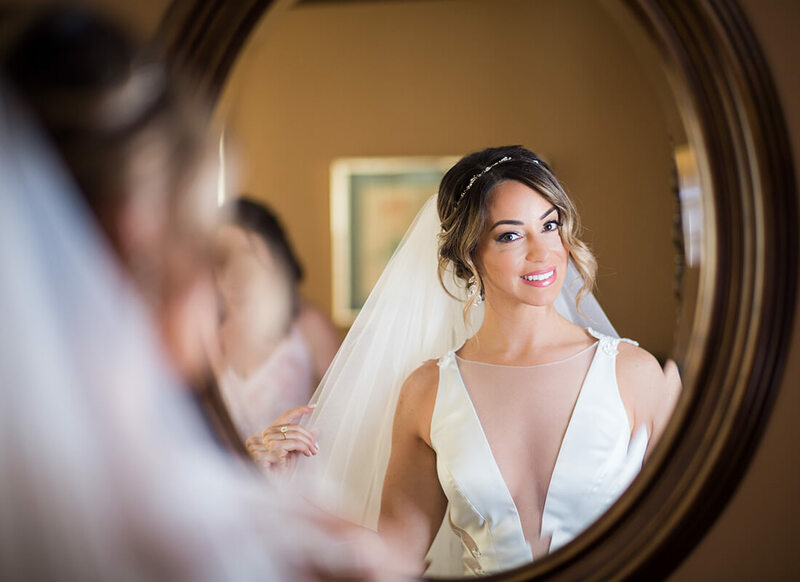 While her family wanted her to wear a more traditional gown, Gina was looking for a more modern gown that was not strapless and preferably with long sleeves. However, after trying on a number of long sleeve gowns at other salons and having an issue with arm movement, Gina decided that no sleeves would be the way to go. 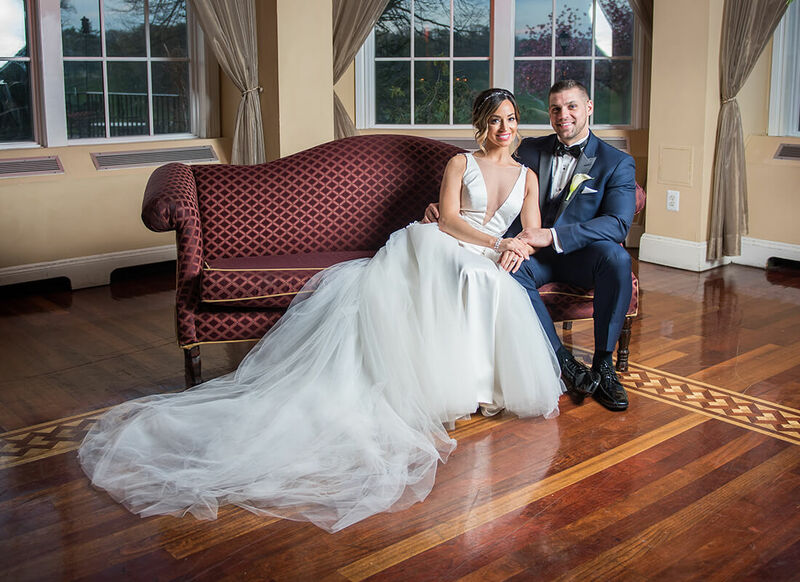 The gown that Gina had now set her sights on was a lovely sheath gown with an illusion bateau neckline, illusion cutouts and illusion back with water crystal beading. Gina had never seen a gown like this one before. The neckline was just what she was looking for since it had straps but with a twist with the illusion neckline. Also, the bling was not your typical crystal bling. 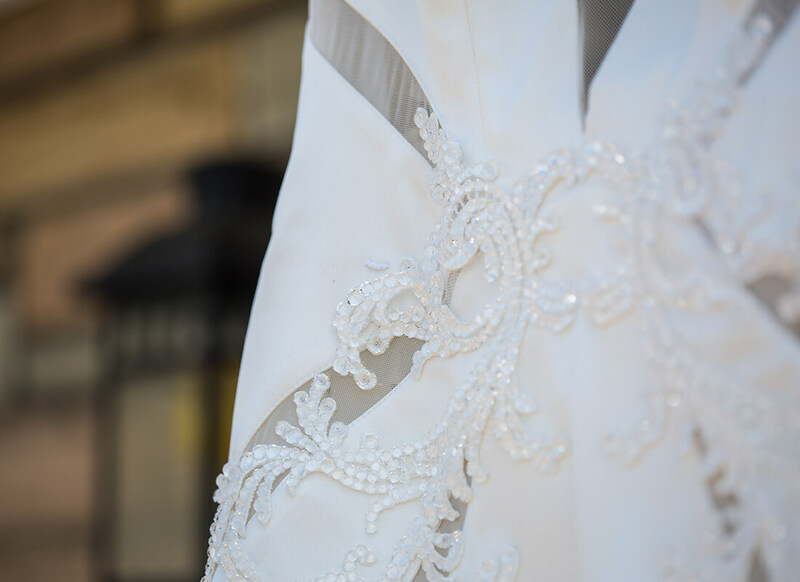 The water crystals that Pnina had used on the gown gave the dress a subtle shimmer that added some extra sparkle. 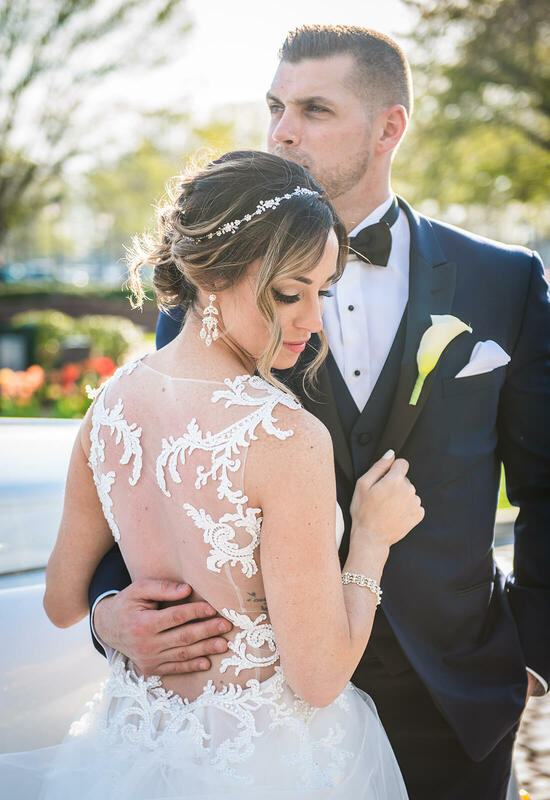 Lastly, Gina was in love with the crystal embellished lace appliques on the gown around the midsection and on the illusion back. For Gina this gown was exactly what she had been looking for. Once the consultant located the gown and Gina finally tried it on, the rest was history. Gina knew that this gown was the one! 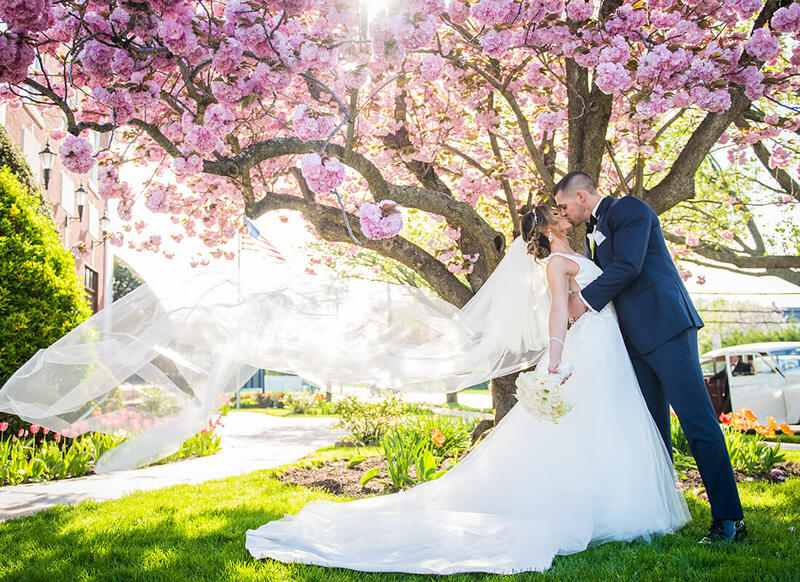 What’s even better is that Pnina Tornai was in the salon that day and got to see her new Pnina Bride in the gown. “She said that I reminded her of a younger version of her and I took that as a compliment,” Gina remembers. 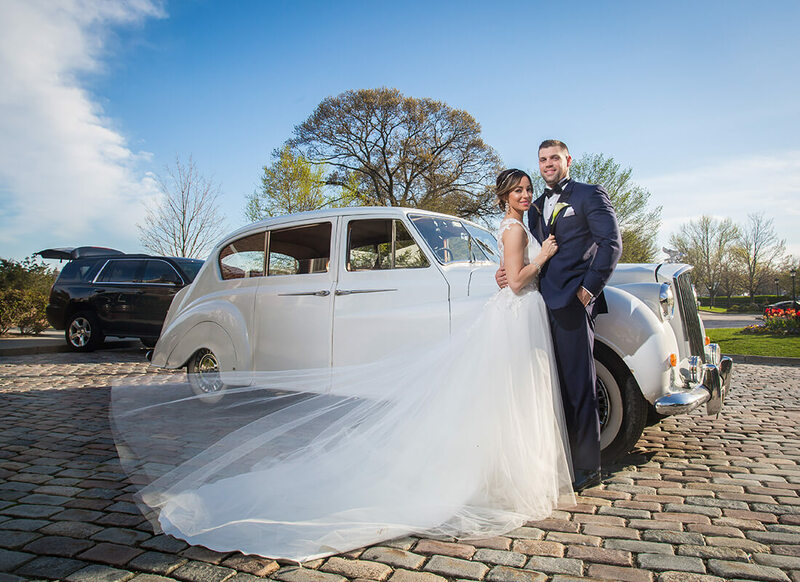 To completely make her gown one of a kind, Gina decided to add a couple of additional details. To start, Gina had the mesh made more opaque under the illusion cutouts so that they would not be as see through. 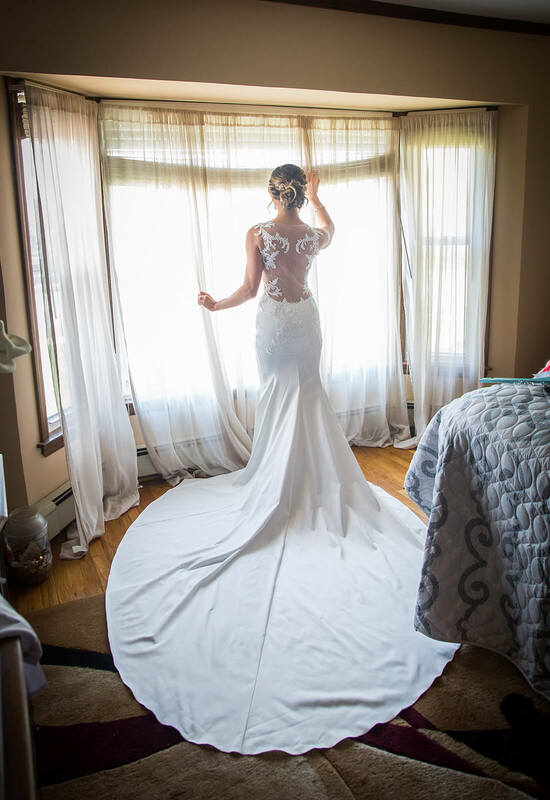 Next, she had extra lace appliques added to her illusion back since she loved that aspect of the gown so much. Gina also opted to have the straps curve in on the sides as opposed to having them go straight back. 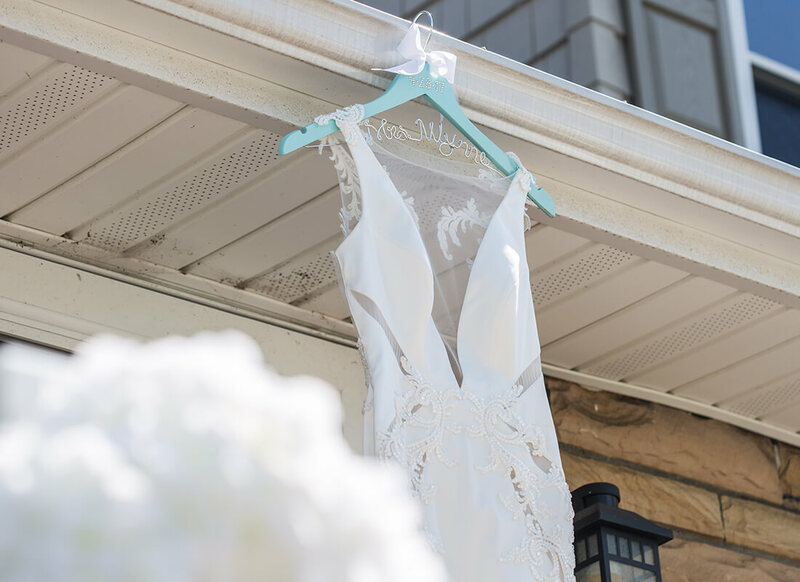 Lastly, Gina added a wonderful surprise detail to her gown. 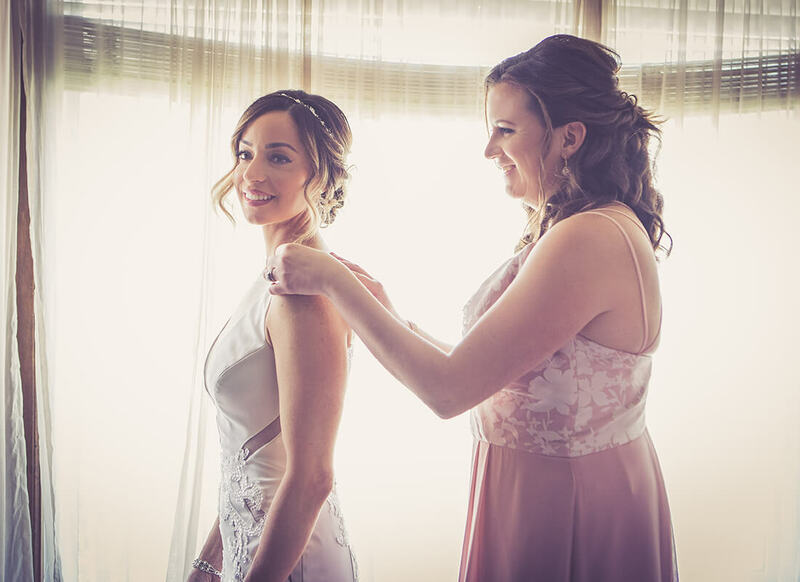 Knowing that her family would like her to wear something a bit more traditional for the ceremony but still wanting to stay true to her style, Gina came up with an idea. 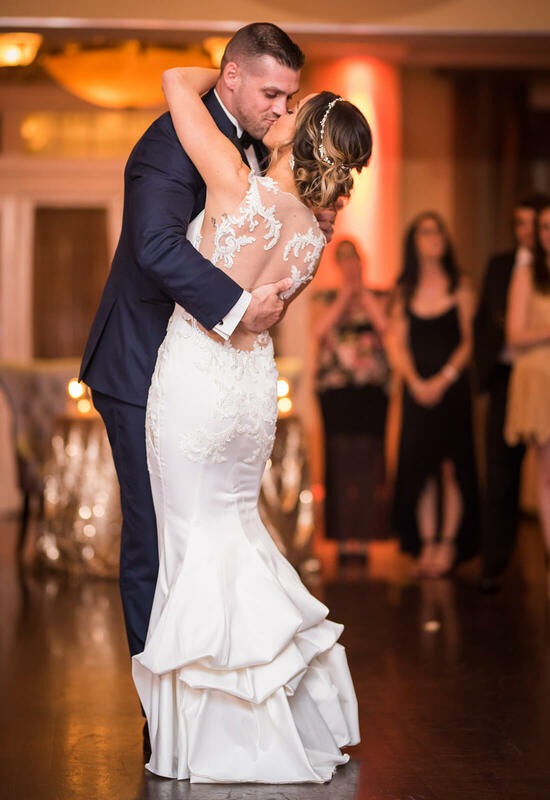 Gina worked with Pnina Tornai Boutique Manager Ally to design a detachable skirt that could be worn with the gown. They decided to use the lace appliques like the ones already on the gown to embellish the waist of the skirt. The skirt was open in the front so that the original gown could be visible but had a long cathedral train in the back. 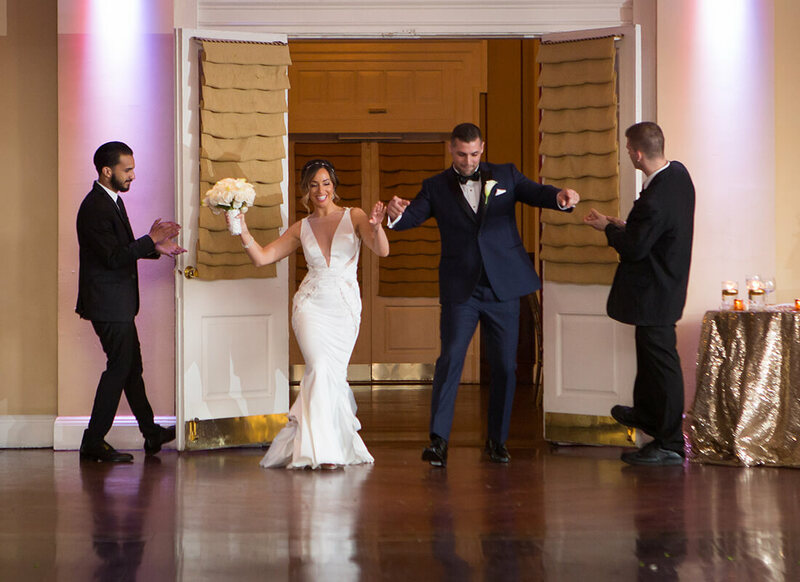 It was absolutely stunning and when she surprised her family walking down the aisle with the full look together, everyone was in awe! 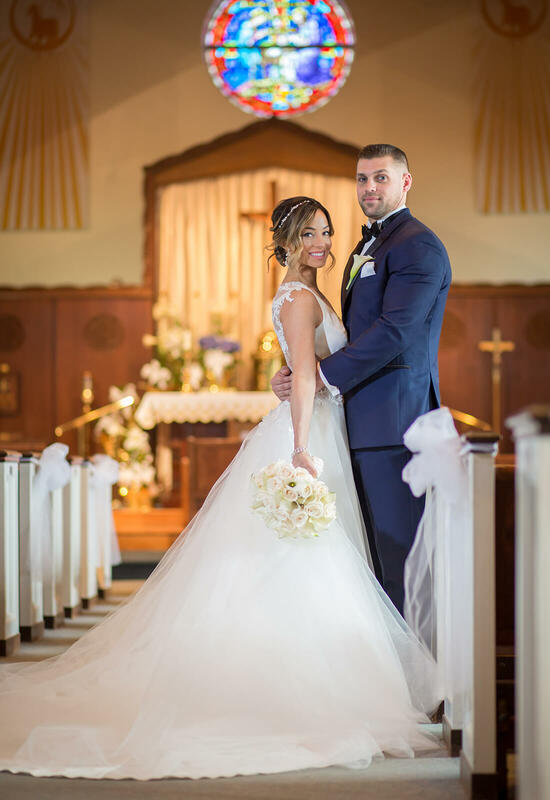 Complete with a Pnina Tornai veil, Gina was a wonderful bridal vision in her stylish gown. Everything had come together splendidly and Gina was ready to marry her beloved, Brian in a gown that was uniquely her. 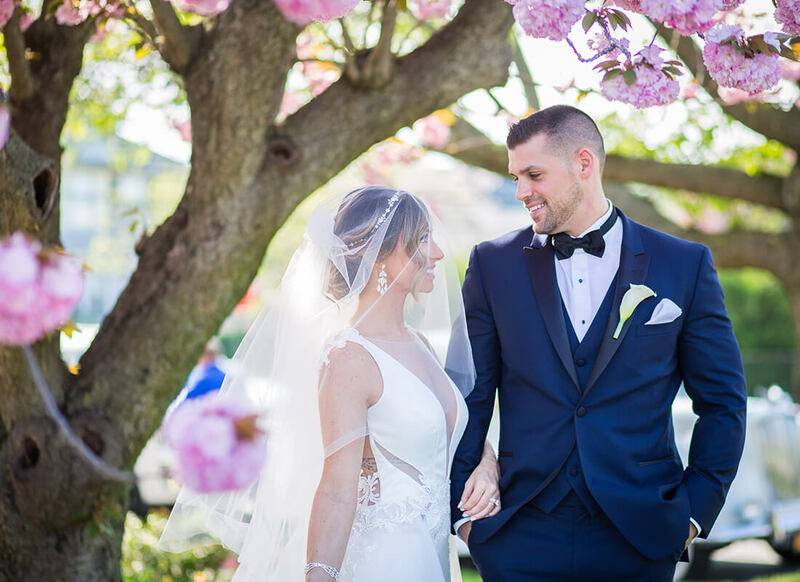 “I definitely felt very fashion forward because I felt like I wasn’t in a category with a lot of other brides. It was just so different,” Gina muses. Surrounded by eucalyptus and antique roses Gina and Brian said their “I do’s,” ready to dance the night away into this new chapter of life and love.